Big dreamers need big game plans, and I'm here to share with you the two tools that keep me grounded in my visions. Next year's dreams, goals, milestones, and big accomplishments are waiting for you -- and I want you to accomplish all of them. 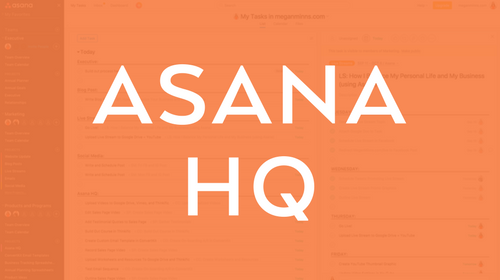 These two tools are Danielle LaPorte's Desire Map Planner (which is great for people who like to write their life on paper) and Megan Minn's Asana HQ (for people who want to map out their projects and access them anywhere in the cloud).